Teachers work hard. And most often they do it on little sleep and a lot of caffeine. This shirt says so many of the things that teachers do and spells out TEACHER in the middle of it all. 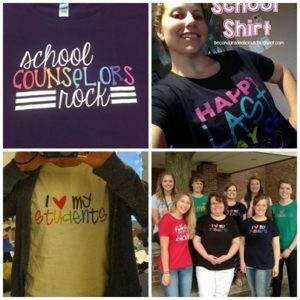 This is a perfect teacher appreciation gift! 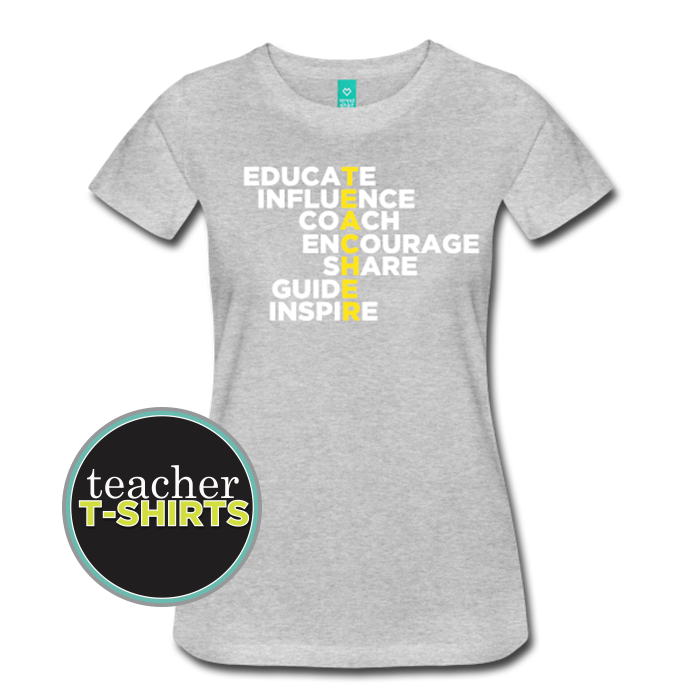 This comfortable flex print design says, “educate, influence, coach, encourage, share, guide, inspire.” It’s a straightforward but fun teacher shirt with lots of fabric color options!